How would you like to have perfectly shaped eyebrows day and night? Saving valuable time spent on a daily makeup routine trying to pencil in patchy, sparse or over plucked brows. No more worry about your makeup smudging or rubbing off. Do you find eyeliner difficult to apply of suffer with allergies to conventional makeup? Imagine having professionally applied perfect looking eyeliner and being able to work out at the gym or swim without fear of your eyeliner running. Would you like fuller and beautifully shaped lips without having botox or fillers? Do you feel your lips are too thin or uneven, or you find it difficult to keep lipstick on. Permanent lips can even out any asymmetry, restore lost definition and improve your natural lip contour. I offer a unique individual service working together with you to create a natural look with permanent makeup to enhance your physical appearance, which also helps to project your inner beauty and self confidence and empower you as a woman. At Natural Definitions you will always be guaranteed a warm welcome with a professional yet personal experience, putting your comfort and well-being as my highest priority, and always at the forefront of my heart-centred business. I look forward to sharing your permanent makeup journey with you. 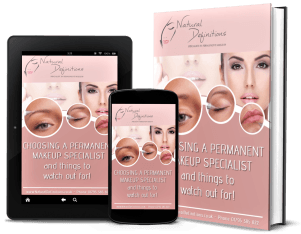 Watch the video below to see what you can expect when you have permanent makeup with Cherie at Natural Definitions. 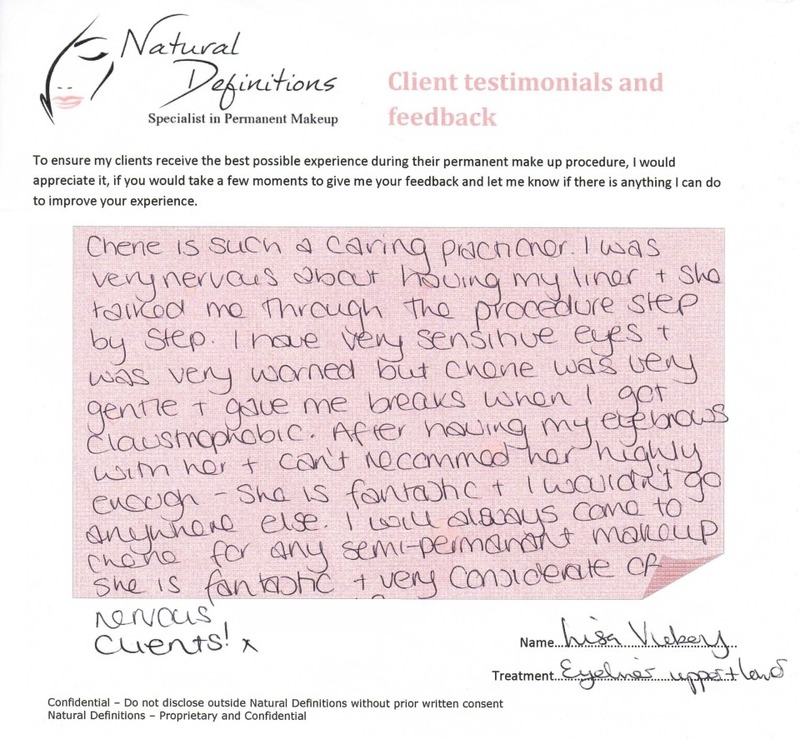 Take a look at some testimonials from clients who have had Permanent Makeup at Natural Definitions. Many of these clients had similar anxieties before their first treatment and they can give you an insight into their own experiences with some honest feedback.